He gave us so many excellent books to read, learn from, enjoy, entertain and have fun with. Have you prepared something, yet? If you haven't, there are some ideas help you to make it unforgetable. Using literacy, rhymes, alliterations, hands-on and moving activities or some art. Whatever you choose probably the first thing you do is to find a book that is suitable the age group and the level of English that your children in the class understand and capable to work with. Green eggs and ham: This is one of the most popular book by Dr. Seuss. It is written with very simple words for children who's just begun reading. Great practice as he keeps repeating the basic words (here, there, like, do not, etc...) So you can use them with young learners to teach and reinforce reading whilst your kids enjoy the storyand laugh along. The Cat in the Hat: Is about a mischievous cat who brings fun into the house and tries several fun but naughty things with the kids who stayed at home without adult supervision. 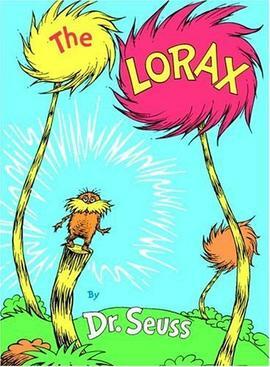 The Lorax: Reportedly, this is Dr Seuss favourite book. It is a bit different from all the other books as he talks about some environmental issues and a possible dark future is forseen unless... Great follow up activity to make a Lorax. Dr. Seuss ABC: Alliteration rocks! Teach the alphabet and have fun sounding out the letters. Hop, jump and move around like the creatures in the book whilst reading the words. One fish, two fish, red fish, blue fish: Great choice if you are about to teach some basic vocabulary with some rhymes. Fun, fun, fun! The Grinch: who stole Christmas. Although it is a Christmas themed book, it could be great fun listening to the story any time of the year. Horton hears a Who: Is about Horton, the elephant whose mission is to protect the microscophic creatures who live in Whoville. It has a strong moral message: "A person is a person, no matter how small." Hop on pop: I popular choice amongst kindergarten and lower primary teachers. The youngest children can also have fun with reading. Introduce some phonics through a wide variety of characters. The Sneetches tells us a story about discrimination and how important is to be special. Too many Daves is a story about a family where all of the children are called Dave which causes some problem later. What was I scared of? tells us a story about a character and a green pair of trousers who are scared of each other but eventually become friends. The tale teaches the children about not to be scared of unfamiliar things but give them a chance to know them. There are a lot more books you can also choose. Which one is your favourite?